This post is prepared by West 4th Physio associate Marj Belot. What is it? It is a whole-body, whole-person approach developed by Dr. Linda-Joy Lee, physical therapist. It involves assessing the interconnections between the person, their environment, relevant regions of body dysfunction and how these areas create symptoms and impact function as well as quality of life. 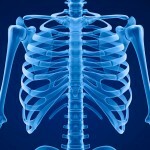 Connect Therapy has it’s roots in The Thoracic Ring ApproachTM, a unique way to assess and treat the trunk. However, as Dr. Lee further developed the Thoracic Ring Approach, it became evident that it was important to determine if clinicians should be targeting the thorax in treatment, or if thoracic symptoms were being triggered by dysfunction elsewhere in the body. Why choose Connect Therapy? Connect Therapy was developed to determine which area or areas of the body are driving symptoms. Without this knowledge, it would be very easy for clinicians to spend their time targeting the symptoms and miss the underlying cause. By determining and addressing the underlying cause, treatment is more effective. As an example, an old ankle sprain, could have healed long ago, but residual stiffness and/or altered ways of walking and moving may have persisted, triggering dysfunction and symptoms in the thorax. The reverse relationship can also occur. A person’s movement patterns could be altered from dysfunction in the thorax, causing an Achilles tendon overload and pain. These are only two of many possible clinical scenarios. What is the process? During an initial session your physiotherapist will talk with you about your current symptoms including what may have caused them, and what makes you feel better and worse. We’ll ask about previous injuries, other current or past medical conditions, as well as your daily activities such as work, sports and hobbies in order to determine factors contributing to your problem. This information will also help us to better understand your treatment goals. We’ll also review any pertinent reports that you provide regarding x-rays, CT scans, or specialists that you may have consulted. In Connect Therapy, as part of providing a detailed history, you will identify a meaningful activity that you are having difficulty with due to your symptoms. Your physical therapist will work with you to determine an appropriate movement which relates to this activity, and, which can be used to assess your movement patterns. Often people will have difficulty with many activities but we ask you to choose the one that is currently your highest priority. Your physical therapist will map your posture, and body areas potentially relevant to your current and previous symptoms, both at rest and during the movement you have selected together. Next, the physical therapist will manually optimize the biomechanics in each area, as you repeat the identified movement. The therapist will examine the impact of these changes on the movement in your other key body regions, as well as any impact on your symptoms. If there are multiple areas of the body to be assessed in this way the process can take some time. The first session will focus on finding the areas driving your symptoms and, working with you to design a treatment plan. A minimum of one hour is recommended for your initial session. Follow-up Visits Subsequent visits are typically 30, 45 or 60 minutes. Your therapist will recommend how many treatments are necessary depending on your injury or problem. Your session may involve various forms of treatment, which will be decided, with you, based on your individual needs. Treatment will always include education about your problem, strategies for you to reduce your symptoms as well as home exercises. 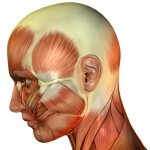 Your treatment may also include manual techniques (massage, joint mobilization, joint manipulation), acupuncture, IMS/dry needling or other modalities such as TENS or ultrasound. Booking your first appointment. If you would like to book a ConnectTherapy assessment, call 604-730-9478 and let our friendly office staff know. They will book you a one-hour session with Marj Belot As Marj books up quickly, it is recommended that you book an initial one-hour session and three 45 minute follow-up sessions within a 2-3 week span. If you and Marj decide on a different plan at the first session you can then change your appointments to suit the adjusted plan. If you have questions or concerns that need to be addressed prior to your first appointment, feel free to email marj@w4pt.com or phone West 4th Physiotherapy Clinic at 604-730-9478 and ask for Marj. • Intake Form – Please fill out our Intake Form by arriving 15 minutes early to your first appointment or by clicking on the button above to have the form emailed to you so you can fill it out in advance. If you fill out the form in advance, please remember to bring it with you and hand it in to the receptionist when you arrive. • Any test results or specialist reports you have. • A workbook and pen to make notes about your treatment and exercises. • ICBC clients – bring your Doctor’s name and referral, ICBC claim number, adjustor’s name and your BC Care Card. Approvals will be completed quicker if you give this information when you book your first visit. • Shorts – if you forget them, we have some you can borrow. • Women, please wear a regular bra or a bra that does not cover your spine. • Footwear that may contribute to your symptoms and/or orthotics that you are currently using for support. • Ideally, it’s best to not bring young children to your appointment, so you can fully focus on your session.